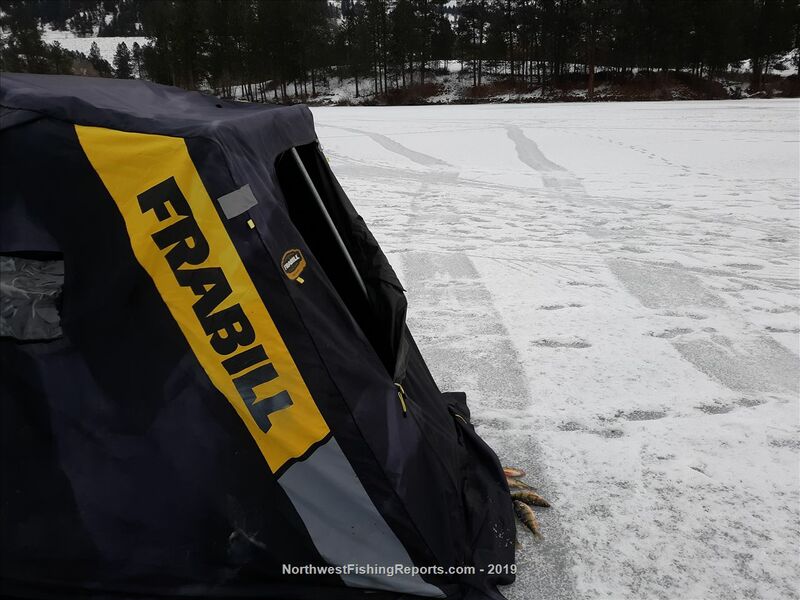 Packed up the truck today with the ice fishing gear and went up to Curlew Lake in Ferry County. At 8:30 am, I a found a spot about 300 yards from the Curlew State Park boat landing. Bite was slow at first, picking up gradually by 10 am at 38ft deep. We used teardrop ice fishing jigs tipped with spikes. 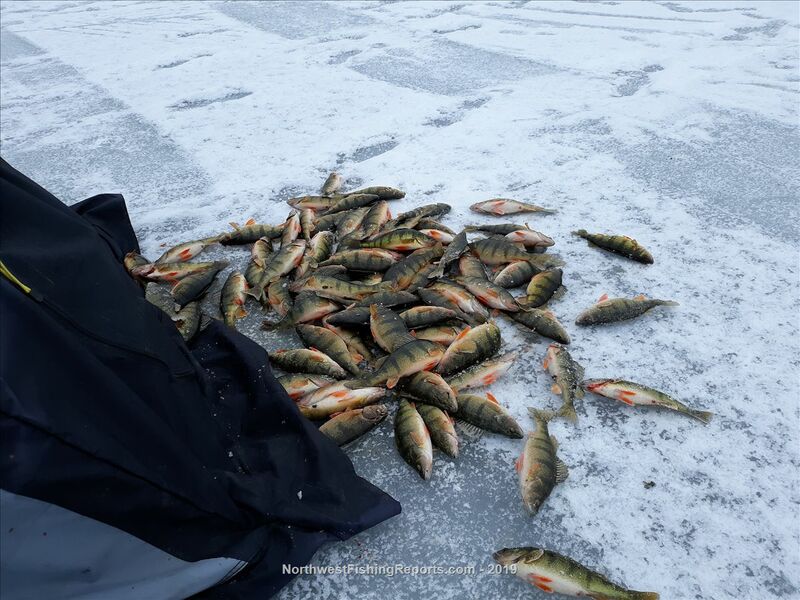 By 2:45 pm, we caught 110 perch!!!! Lake Roosevelt charters: "The family that fishes together has fun together!" 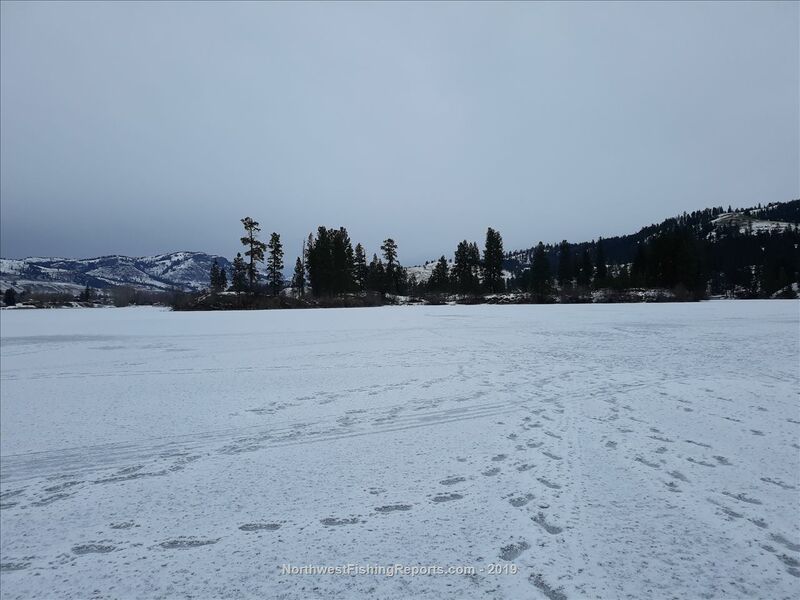 Guided fishing for kokanee, trout, walleye, and sturgeon. View other reports from lake Rsvlt chrtrs. Now that's a mess of fish, good thing you don't have to rely on me to fillet them. I could show you the easy way Mark; great eats for sure! Nice looking perch there! We're planning a trip up to Curlew this weekend. Are the spikes you talk about Gulp maggots or the real thing?